On the first anniversary of Vittorio Taviani’s passing on 15 April 2018, Lucca Film Festival e Europa Cinema 2019 will honor the Taviani Brothers with a Tribute curated by Riccardo Ferrucci and Alessandro Romanini, in charge of Festival’s exhibition events, and with the collaboration of Annalisa Bugliani. 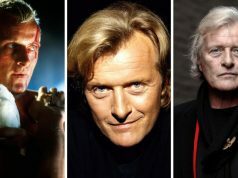 The two iconic figures of Italian Cinema have received countless recognitions and awards, from the Venice Festival’s Golden Lion to celebrate their Lifetime Achievement and the Palme d’Or at the Cannes Film Festival for Padre Padrone to the Berlin International Film Festival’s Golden Bear for Cesare Must Die and numerous David di Donatello prizes. On 13 April, Good Morning, Babylon (1987) will be screened in its completely restored version thanks to the work carried out by the Cineteca Nazionale and the Istituto Luce – Cinecittà. 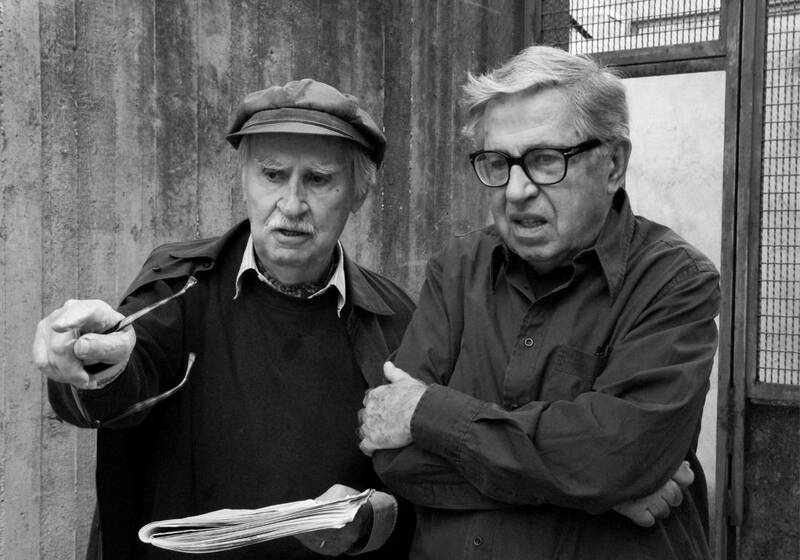 Prior to the screening, Director Paolo Taviani will receive the Lucca Film Festival Lifetime Achievement Award. Special thanks goes to the Municipality of San Miniato and to the Taviani Cinema Center in San Miniato who have made the two exhibitions possible. In the exhibit catalogue, curator Leonardo Casalini writes “Sacri Silenzi illustrates the lives of two great cinema authors: original, in constant evolution yet always characterized by an incorruptible coherence. Two icons who have been the protagonists of expressive and cultural research that delves into the earth while reaching towards the sky. Their political cinema has its roots grounded in the documentary and in Rossellini’s and De Sica’s neorealism. As it explores and experiments, it offers us a serious and committed vision that is also ironic, fantastical and dreamy. A passionate cinema of great musicality. A cinema made up of glances, bodies and landscapes”. 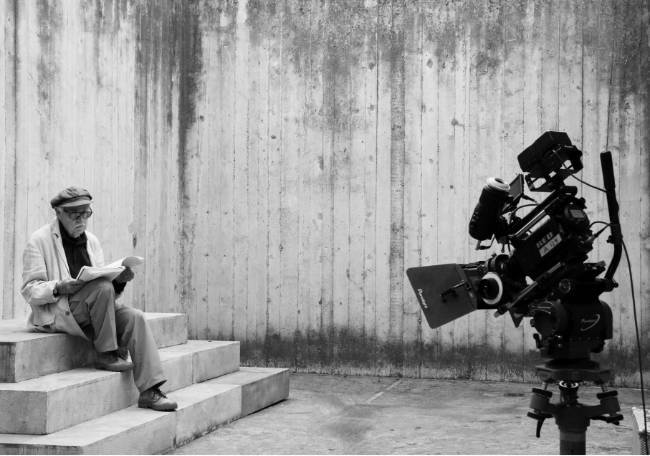 “For Pasolini, cinema was above all painting; for Fellini it was staging; for Visconti literature; and for Eisenstein, editing, together with the strength, wonder and joy of placing the camera correctly”, recall the Taviani brothers. “For us everything is important, but the key element is the relationship between image and sound. It is in that moment that the strength, the magic, the mystery and the curiosity of cinema fully emerges”. The most memorable scenes of their works stem from the strength that fully expresses that encounter/clash between music and image. At times, even silence manifests itself as a musical presence, as the rupture of an established order. Although they lived in Rome, Paolo and Vittorio Taviani have always loved their homeland deeply and have always nurtured their tight bond with Tuscany and San Miniato. The Taviani brothers are the most authentic interpreters of the dichotomy that characterizes Tuscany, radiance accompanied by a shadow of violence, death and loneliness. Undoubtedly, Tuscany is the protagonist of landmark films like The Night of the Shooting Stars (La notte di San Lorenzo) and of the last film Paolo and Vittorio directed together Wondrous Boccaccio (Maraviglioso Boccaccio) that represents the pinnacle of their poetic imagery. However, it is also true that Tuscany is only one of the leitmotivs of the two filmmakers, who use nature’s scenery as a huge open-air stage and as a palette to create dreams, memories, legends set in large natural theaters. Vittorio’s death has marked the end of a partnership that was unique in Italian cinema. Paolo and Vittorio are among the greatest poets of contemporary cinema, loved by foreign directors such as Scorsese and Tarkovskij and by audiences worldwide. Their films highlight superb craftsmanship, works of art created with stunning compositional wisdom, brimming with ideas and utopias albeit without the great financial budgets available in American cinema. Their love for film dates back to when they saw Paisa by Roberto Rossellini in a small cinema in Pisa; and their passion for performance was born when their father, a lawyer, would take them as children to see and listen to opera at the Maggio Musicale Fiorentino in Florence. Thus, the genesis of their attraction for the seventh art and their desire to tell stories through images, colors and sounds. One of the most important films directed by Paolo and Vittorio Taviani is Kaos, based on the short stories by Italian author Luigi Pirandello. In one of the final scenes, Pirandello’s mother turns to her son and says, “Look at things with the eyes of those who can no longer see them! You will experience a regret, my son, which will make them even more sacred and more beautiful.” A perfect finale to the great poetic adventure of Paolo and Vittorio Taviani’s cinematography, the two brothers who were able to find beauty and happiness hidden even in the most painful moments in human history. The Lucca Film Festival e Europa Cinema directed by Nicola Borrelli, is one of the key events organised and sponsored by the Fondazione Cassa di Risparmio di Lucca. The main sponsors of the event are Banca Generali and Banca Pictet, whereas the exhibits are produced with the support of Banca Societe Generale. 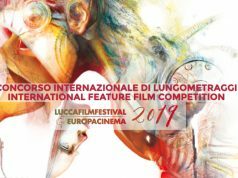 The organisation of the Lucca Film Festival and Europa Cinema has the support of the Fondazione Banca del Monte di Lucca, Lucar S.p.A, ICare, Wella, Martinelli Luce, Lions Club Lucca Le Mura, Luccaorganizza, Il Ciocco S.p.A, Cantina Campo alle Comete, MiBACT (the Italian Ministry of Cultural Heritage, Activities and Tourism), the Region of Tuscany, Fondazione Sistema Toscana, the City of Lucca, the City of Viareggio with the collaboration and co-production of the Province di Lucca, Robert F. Kennedy Human Rights Italia Giglio Theatre in Lucca, Fondazione Giacomo Puccini e Puccini Museum – Casa Natale, Fondazione Carlo Ludovico Ragghianti, Fondazione UIBI, Università degli Studi di Firenze, Accademia di Belle Arti di Carrara, CNA Cinema e Audiovisivo Toscana, Istituto Luigi Boccherini and Liceo Artistico Musicale e Coreutico Augusto Passaglia. We also thank for their collaboration Lucca Comics & Games, Trenitalia Regional Management, Unicoop Firenze and to the Degree Course in Performing Arts and Communication belonging to the Department of Civilization and Forms of Knowledge at the University of Pisa and Photolux Festival. The Lucca Film Festival and Europa Cinema is an annual event that celebrates and promotes cinematic culture. The Festival is able to engage an ever-growing public through screenings, exhibitions, conferences and performances, which range from mainstream to experimental cinema. Throughout its history, Lucca Film Festival has excelled thanks to its ambitious and well-researched programming. The Festival has paid tribute to celebrated figures in the cinema world while at the same time rediscovering other notable names and identifying up-and-coming talents. The beautiful cities of Lucca and Viareggio contribute to the Festival’s appeal, serving as the stunning backdrop to an event that has become a much awaited and not-to-be-missed happening in Italy and Europe. PS Comunicazione – Antonio Pirozzi (339 5238132) and Martina Angeli; www.pscomunicazione.it. Press office for Exhibitions: Davis & Co. Lea Codognato and Caterina Briganti; 055/2347273; info@davisandco.it | www.davisandco.it. Marcello Petrozziello and Andrea Salani (0583 472627 ; 340 6550425); comunicazione@fondazionecarilucca.it.